High workability maintenance admixture. Dosage: 0.5-1.6% over cement weight. Conplast SP366 is a multi-strand plaster additive with superplasticizer effect of high performance, free of chlorides, based on a mixture of specially selected organic polymers. It is supplied as a solution which is instantly dispersed in water. Conplast SP366 disperses the fine particles in the mixture, enabling the water content in the concrete to act more effectively. To reduce significantly the water in a concrete mix, without reducing the workability and to provide an increase of the early and last resistances without additional cement. To significantly improve the workability of the concrete without increasing the amount of water. To obtain concrete with a low water / cement ratio and high maintenance of workability. To reduce the permeability of concrete and therefore the penetration of water and increase durability. Used in the production of fluid concrete, it allows faster placement and compaction and a reduction of costs. The reduction in the water / cement ratio increases the durability, producing a low permeability concrete. Chloride-free, suitable for use in prestressed and reinforced concrete. Conplast SP366 complies with UNE-EN 934-2: 2010 Tables 3.1 and 3.2 as a high activity / superplasticizer water reducing additive. The optimal dosage of Conpalst SP366 to achieve specific requirements must be determined by tests using the materials and conditions that will be used in practice. The usual dose will range from 0.5 to 1.6 liters / 100 kg of cementitious material. When a combination of results is required, such as an increase in workability coupled with a reduced water content, the combination with other Fosroc Euco additives may be considered. When the intention is to improve strengths, initial tests should be done with normal concrete mixtures. The addition of additive allows the removal of water from the mixture, while maintaining the workability at the levels obtained after using additive. After the initial tests, minimal modifications should be made to the overall design of the mixture to optimize results. When the main intention is to provide high workability concrete, the design of the initial mix should be the one corresponding to pumped concrete. In a correct mixture of fluid concrete, better dispersion of the cement particles and more efficient use of the kneading water will improve the cohesion of the mixture. The slight air occlusion obtained with Conplast SP366 will help minimize exudation and segregation. After the initial tests, minimal modifications to the mixture should be made to optimize results. Conplast SP366 is compatible with other Fosroc Euco additives used in the same concrete mix. All additives must be added to concrete containing more than one additive, they must be tested by assay to ensure that no such effects occur, such as unwanted setting delay. 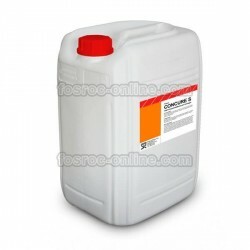 Conplast SP366 is suitable for use with all cements complying with the RC-08 standard. The correct amount of Conplast SP366 must be measured by a suitable doser. Normally, the additive is added with the kneading water to obtain the best results. Contact the Technical Department of Fosroc Euco to be advised on the appropriate equipment and its installation. As with all structural concrete, good curing should be achieved, particularly in situations where overdose has occurred. It should be used as Fosroc Euco Concure curing membrane, water (pulverized) or wet burlap. Spillages of Conplast SP366 can be absorbed with sand or earth and transferred to appropriate containers. The remains should be sandblasted with large amounts of water. Disposal of the product and packaging is the responsibility of the end user. Conplast SP366 has a shelf life of 12 months provided it is kept at a temperature between 2 ° C and 40 ° C.